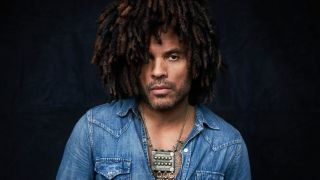 Lenny Kravitz has announced his only UK show of 2019. The singer will play at London's O2 Arena on June 11 to mark the 30th anniversary of his debut album Let Love Rule, a collection that spawned the singles Let Love Rule, I Build This Garden for Us, Be, Mr. Cab Driver and Does Anybody Out There Even Care? Support will come from British singer-songwriter Corinne Bailey Rae and from New York collective Brass Against, who perform fiery brass versions of songs by the likes of Rage Against The Machine and Tool. Pre-sale tickets will go on sale on Wednesday, while a special pre-sale for Classic Rock readers will launch on Thursday. The general sale will begin on Friday, with all sales starting at 9am.